Our philosophy is to use the freshest local ingredients that we can. 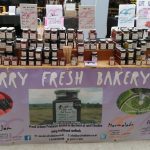 Our main fruit supplies come from Combermere Abbey Estate Fruit mazes, Sue & Cedric at Prees and the many friends, neighbours & colleagues that are also very generous. 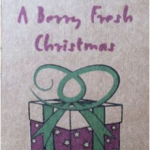 Berry Fresh Bakery began in 2010 and we have enjoyed building the business since then and continue to do so. Tom has his ever faithful Maslin Pan into which he puts his hand prepared ingredients and captures the flavours of the fruits and vegetables he is so passionate about. 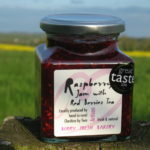 All jars are produced in batches of 12 -20 which of course adds to the quality of what is inside. We are thrilled to have been awarded 3 of the coveted Great Taste Awards 2016. 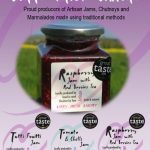 They have been received for Tomato & Chilli Jam, Raspberry Jam with Red Berries Tea and Tutti Fruitti Jam – look out for them when you visit our stockists. These awards are organised by the Guild of Fine Foods.